Edward A Bogdan III is the Managing Partner of Bogdan and Lasky LLC, a leading government relations firm in Albany, NY that he helped form in 2001. He has built his career in government relations by specializing in the state budget process, state tax issues, alcoholic beverage law, first amendment law, energy law, economic development programs and securing state aid to relocate facilities and corporate research facilities to New York. He represents a variety of Fortune 500 corporations, major trade associations, not-for-profits, and pharmaceutical companies. On behalf of a major trade association, spearheaded the industry-wide effort to extend New York’s Film Production Tax Credit by $420 million per year for 5 years in the 2010-11 budget. On behalf of a major trade association, worked with industry-wide coalition to extend New York’s Film Production Tax Credit by $300 million for one year in the 2009-10 budget. On behalf of a major trade association and a Fortune 500 corporation, led efforts to oppose substantial increases in alcoholic beverage excise taxes 2009-10 budget, which resulted in their reduction to de minimis levels. On behalf of a major trade association, led effort to gain passage of a law allowing wineries to ship wine directly to consumers in New York. On behalf of a very small trade association, secured and then twice defended an annual multi-million dollar slice of the potential revenues to be produced by the installation of slot-machine like gaming devices at thoroughbred racetracks. On behalf of a UK based technology company, secured state assistance to make possible a move of their headquarters, research and most of their manufacturing operations to the Capital District. On behalf of a major trade association, led the effort to repeal a tax surcharge on real estate transfers over $1 million. Darden Restaurants, Anheuser-Busch, Lee Mason Financial Services, McLane Corporation, Shell Energy, US Renewables Group, Astra-Zeneca Pharmaceutical Corporation, Entertainment Software Association, Motion Picture Association, International Council of Shopping Centers, National Organization of Theatre Owners, Sergeants Benevolent Association, Wine Institute and Lincoln Center for the Performing Arts. 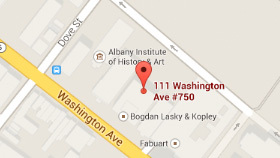 Mr. Bogdan grew up in Albany, NY. He is a graduate of Choate Rosemary Hall, Harvard College and Albany Law School. He continues to reside in Albany with his wife and two sons. Prior to forming Bogdan and Lasky LLC he was a Vice President at Bogdan & Faist, a lobbying and law firm he joined in 1994. Immediately upon graduating from law school, Mr. Bogdan worked as a litigation associate for the Albany office of Duker and Barrett, where he worked with the Resolution Trust Corporation regarding liability associated with the S&L bailout. The firm has since merged with Boies, Schiller & Flexner. Mr. Bogdan has also served as a law clerk to both the New York State Assembly Office of the Minority Counsel and the Deputy Secretary Office at the United States Department of Housing and Urban Development in Washington, D.C.